Clinically proven to help kill head lice and their eggs. Lice eggs can be tricky to get rid of but Hedrin is here to help with their tried and tested 2 step process. The first application helps to kill lice and their eggs, while the follow up application 7-10 days later assists to kill any newly hatched eggs that may have been missed during the first application. Head lice are an established part of school life – as children spend so much time playing and learning together, it is very easy for them to spread. Thankfully, Hedrin gives you the power to take control of head lice! The Hedrin range is specially formulated to suit your preference and lifestyle. 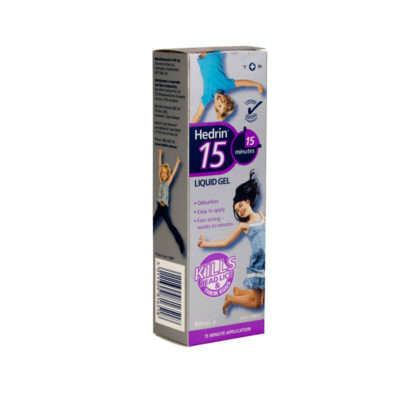 Whether you are after an overnight treatment or something that will treat your child in minutes, Hedrin has the solution!